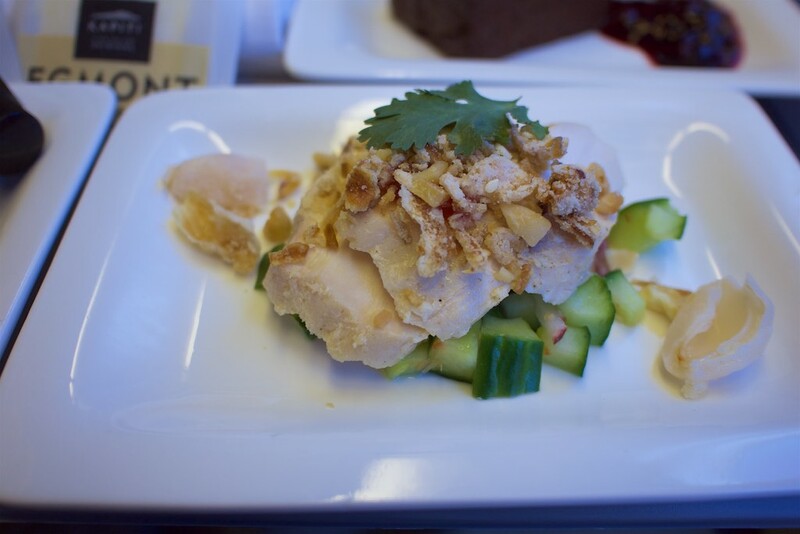 I’ve long been intrigued by Air New Zealand, having not flown with them at all – until now! 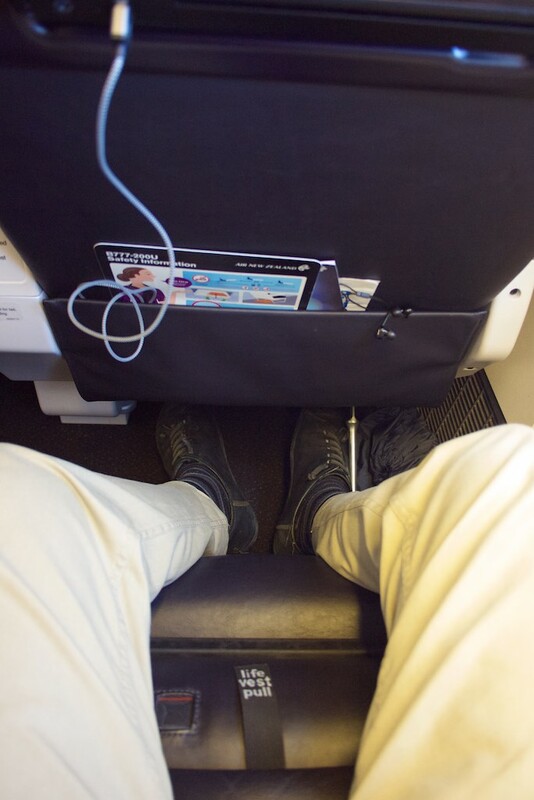 They control premium cabin points redemption seats extremely tightly, so Premium Economy and Business Class flights are rarely available using points. 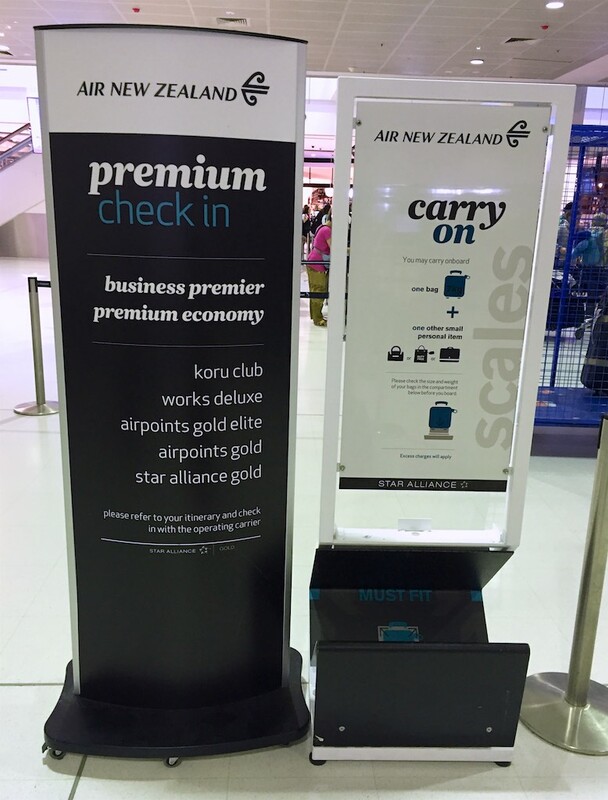 The exception to this is when booking with Air New Zealand’s own frequent flyer program – Air New Zealand Airpoints. 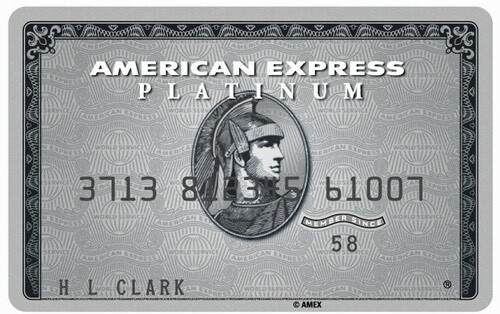 However Airpoints Dollars do not offer fixed price redemptions. Instead you can redeem them at a variable rate based on the cost of the flight. 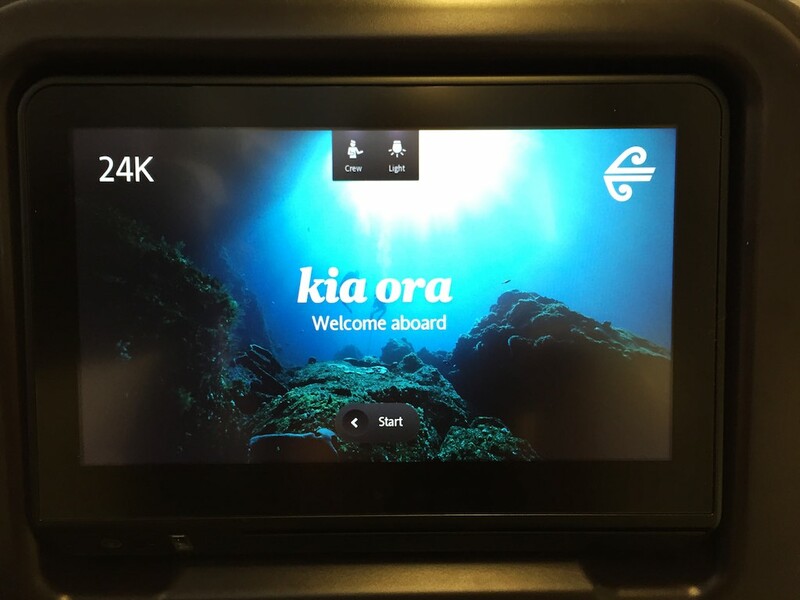 As part of the Point Hacks New Zealand launch, I figured I had to check out Air New Zealand’s long-haul cabins with a trip across the Tasman to Auckland, and see if Air New Zealand’s inflight experience is worth using hard cash or Airpoints Dollars for. 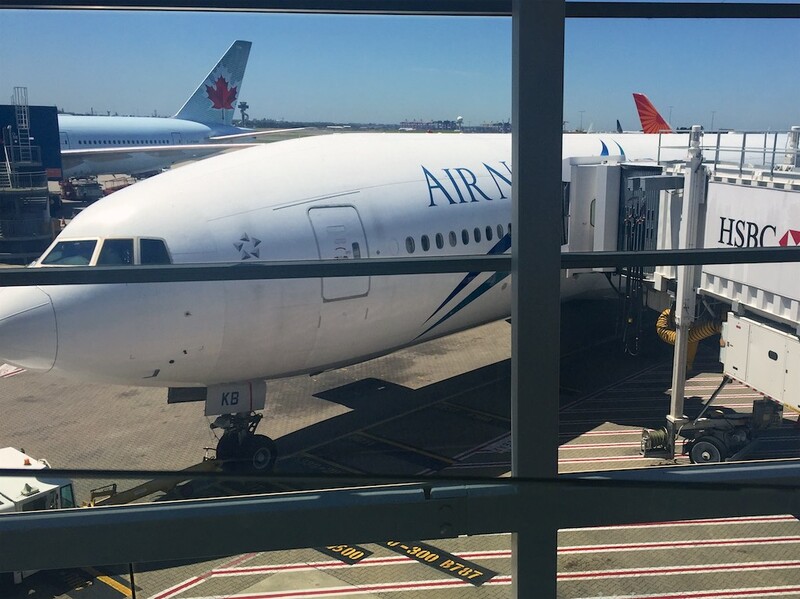 Air New Zealand operates one or two widebody aircraft between Auckland and Sydney / Melbourne a few times per week. Their booking engine shows clearly which flights will have Premium Economy or long-haul Business Class, but also looking for flight numbers NZ1XX, such as in this case – NZ104. 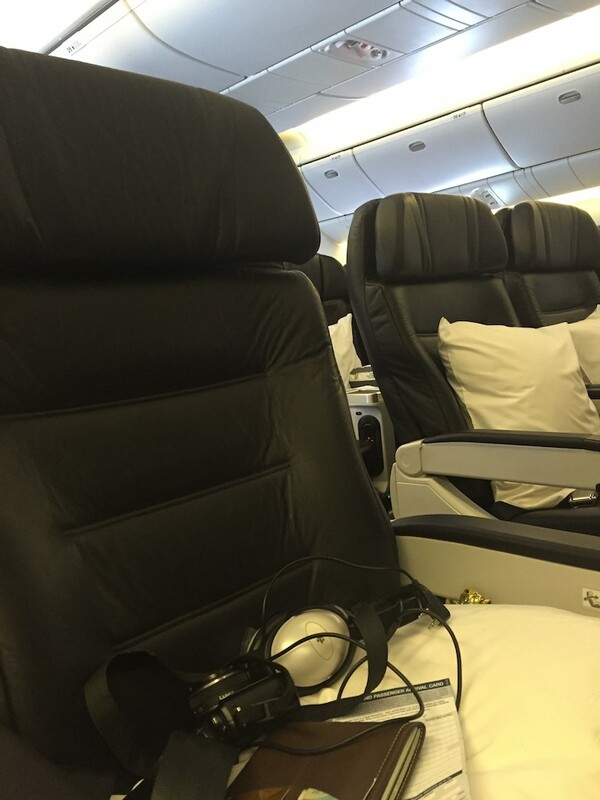 I wanted to travel in Air New Zealand’s Premium Economy, and preferably check out the spaceseat product on their 777-300ER. This has Premium Economy in a 2-2-2 layout. 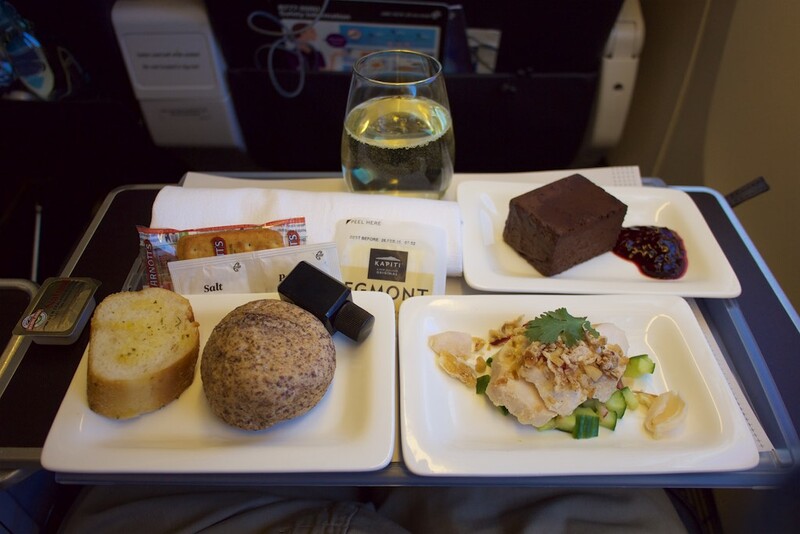 I nabbed a sale fare for arund $400, booking a flight with as spaceseat – but unfortunately their was a last-minute aircraft swap, so ended up with the more common 777-200ER and 787 Premium Economy cabin which has a 2-4-2 layout on the 777, and a 2-3-2 layout on the 787. It’s really tough, and (maybe not possible – someone let me know if it is?) 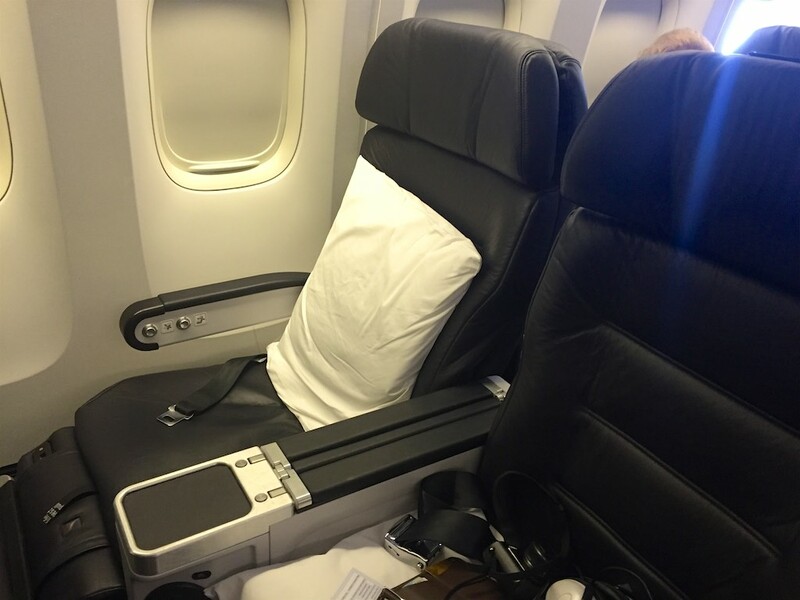 to redeem points for Air New Zealand Premium Economy – neither the United, Singapore Airlines or Lufthansa award charts allow you to redeem on Premium Economy for Air NZ. 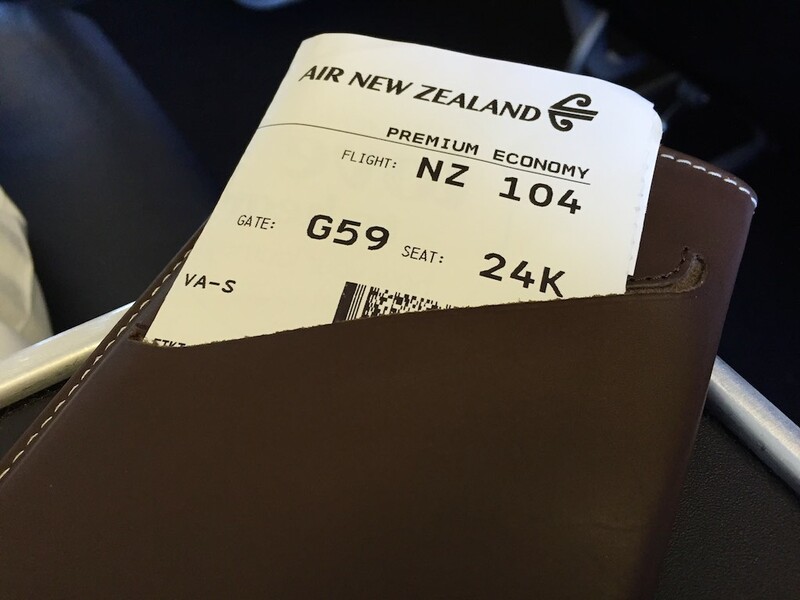 As a result, your best option is going to be using either AirPoints Dollars (as a New Zealand credit card holder) or paying cash – this flight ended up around $400 on sale around two weeks before departure. I decided to credit this flight to my Velocity account, where I earned 45 status credits and a little over 2,000 Velocity points. 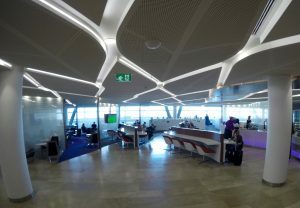 Rocking up to Sydney Airport, I found that Air New Zealand’s premium check in area caters for both Premium Economy and Business Class travellers, which is a nice time-saver over travelling in Economy. You won’t get an Express Pass to help you get through immigration and customs faster – or lounge access which is reserved for Business Class passengers, and those with Star Alliance status. 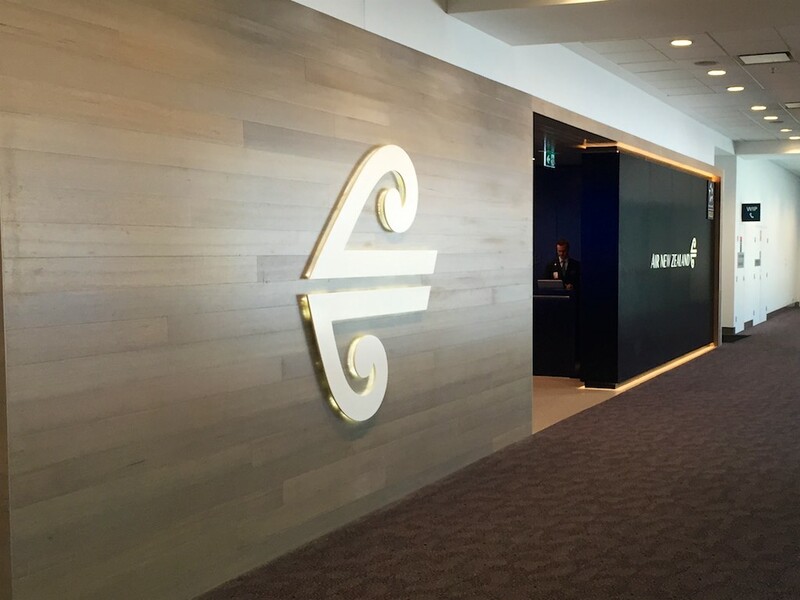 As an Etihad Gold cardholder, I thought I’d gain access as part of Etihad’s agreement with Air New Zealand – but no, this was as close to the Sydney Air New Zealand lounge as I got. 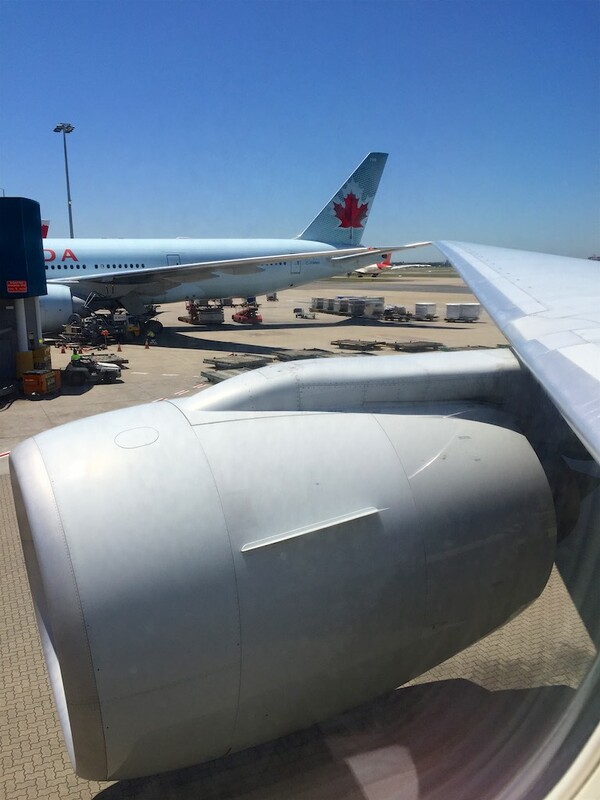 After fending off the large crowds at the gate, our 777-200 came into view, confirming that my flight had been swapped from the planned 777-300ER with the Spaceseat. I had scored a seat in the second row of Premium Economy (row 24), which was just forward of the wing. 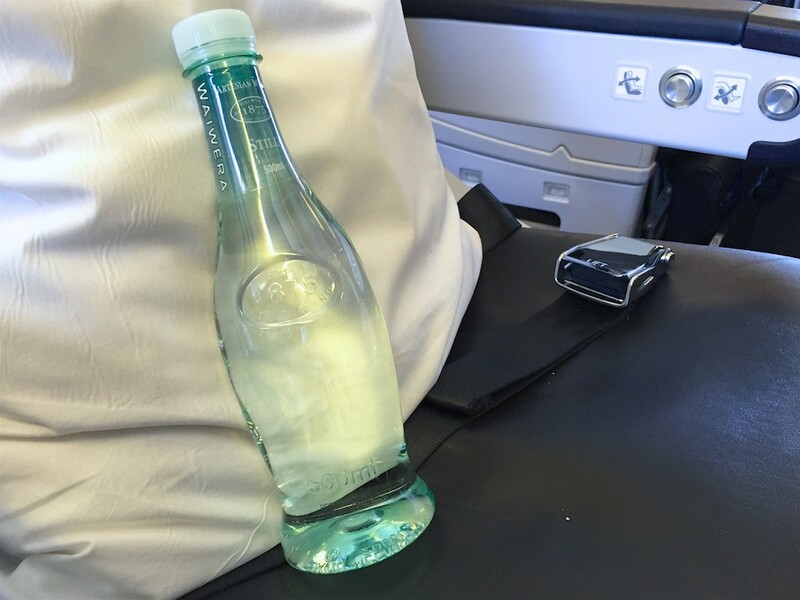 And waiting on the seat was a bottle of water, a nice touch to start off the flight. 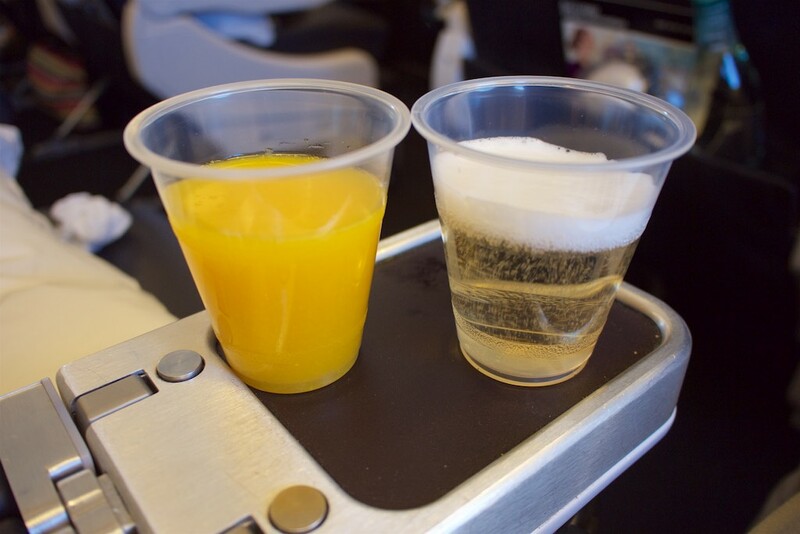 We were soon also offered orange juice and champagne. I took both, plastic cups and all. No room for class here. I then started checking out the seat in more detail. 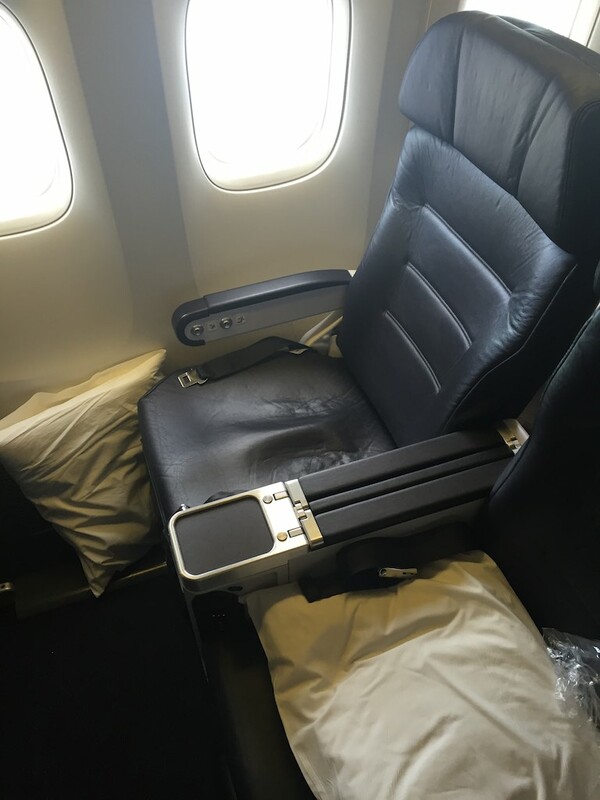 The seat is all simple, black leather, with a large IFE screen and around a 41″ seat pitch, which is generally market-leading, with locally only Japan Airlines topping Air New Zealand according to SeatGuru’s comparison chart. 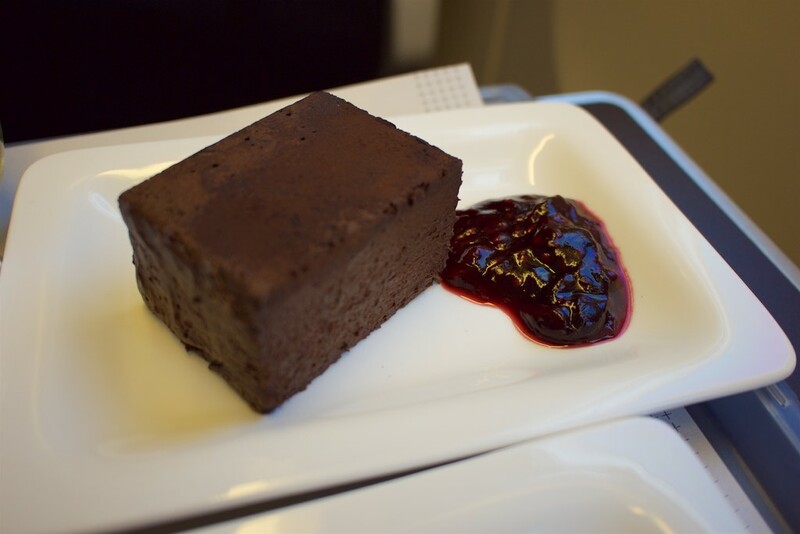 I had a window seat, with noone next to me which helped with taking photos for this review. 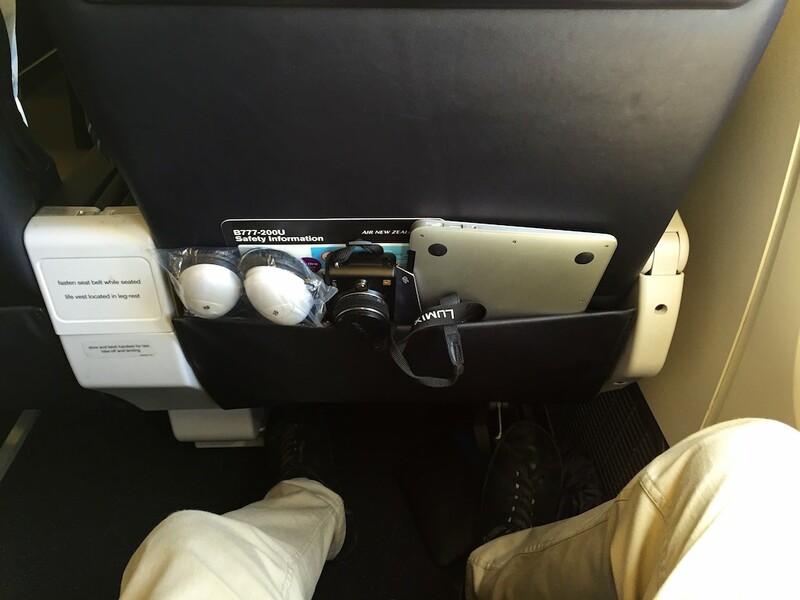 The Premium Economy seat also has a foot rest that folds out from the leg rest. I’m always too tall to make use of these, they never quite work for me ergonomically. This one was no different, I folded it out but just felt uncomfortable so put it away again. Those with shorter legs would have more success. 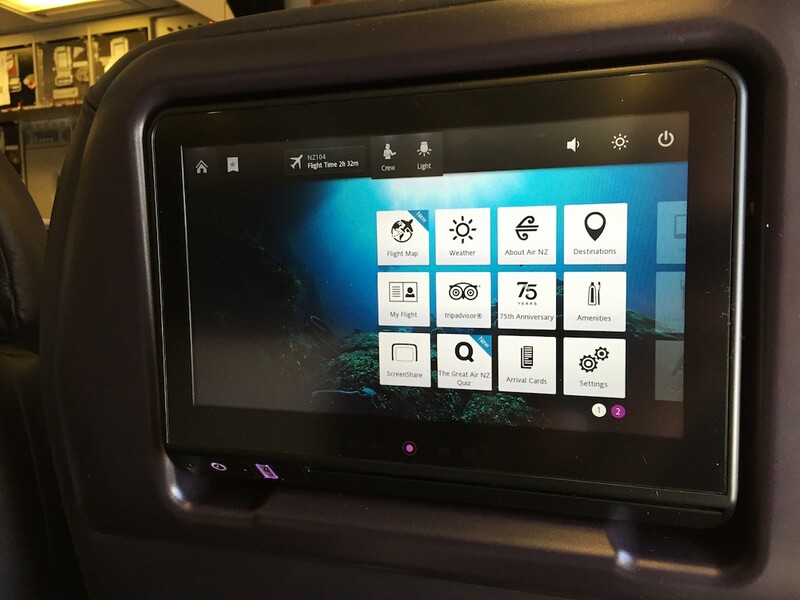 I thought the inflight entertainment was excellent – a large, responsive touch screen, so that while you’re jabbing the back of the person’s head in front of you, unless you are being intentionally inconsiderate you won’t disturb them – and a great selection of movies and TV. 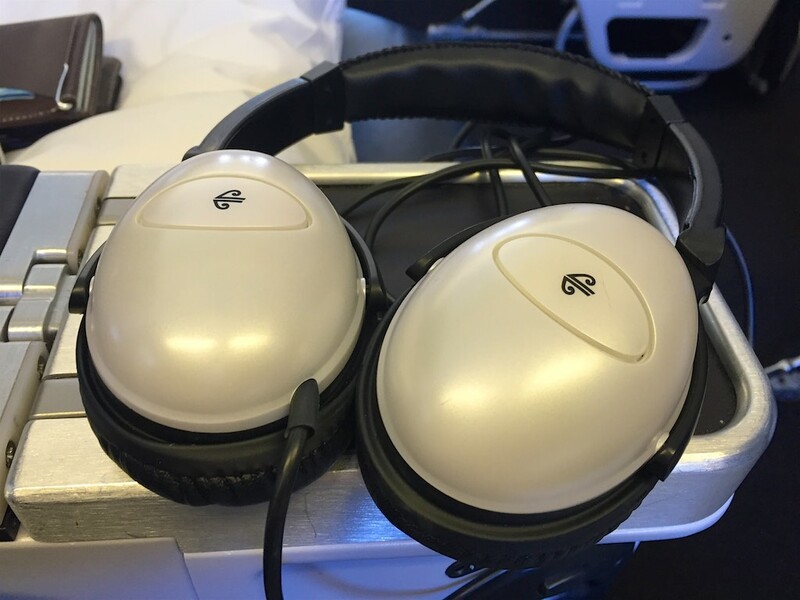 Along with some decent headphones, I enjoyed my 3 hours in the air catching up on a new movie. Along with the chicken salad entrée, I opted for the slow cooked lamb shank main. 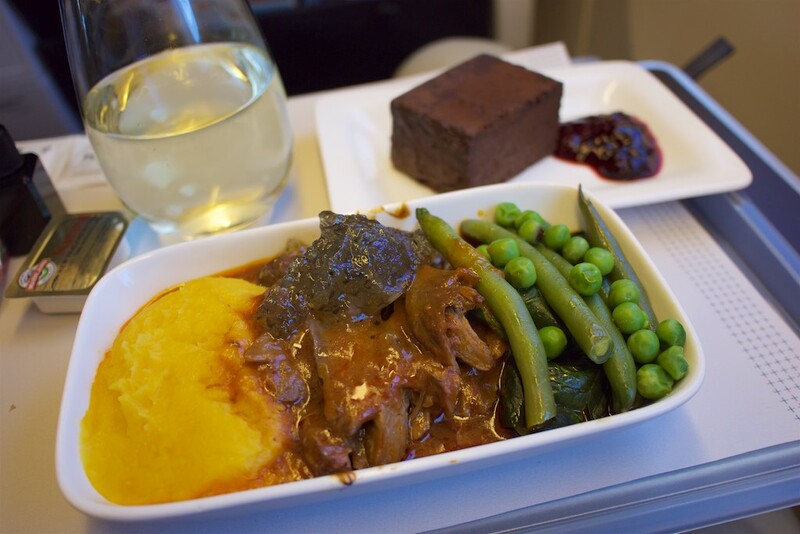 All the food was of high quality, to me this seemed like good quality Business Class food rather than Premium Economy, and I suspect it was a limited version of the Business Class menu on offer to Premium Economy passengers. 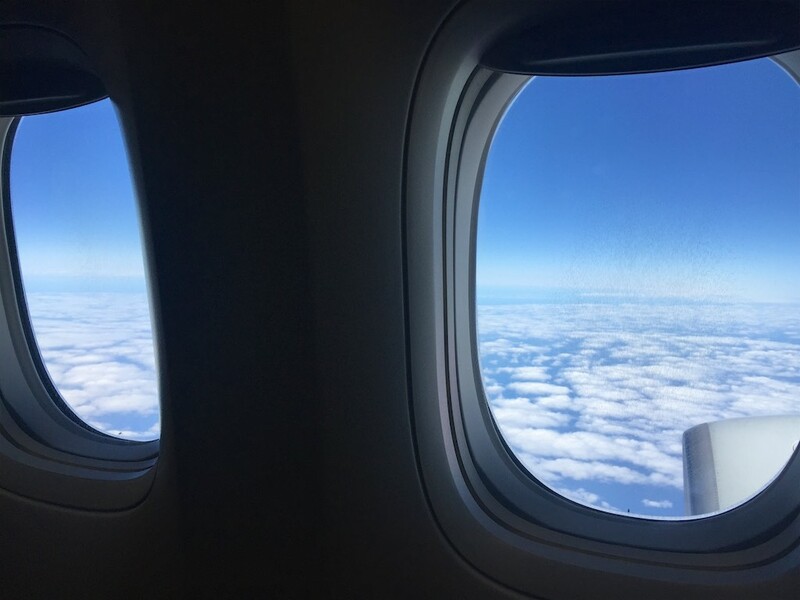 This was a great way to get between Sydney and Auckland, although it’s a shame the flight is not readily available using points that are easy to access – it’s going to have to be Airpoints Dollars all the way for a redemption. 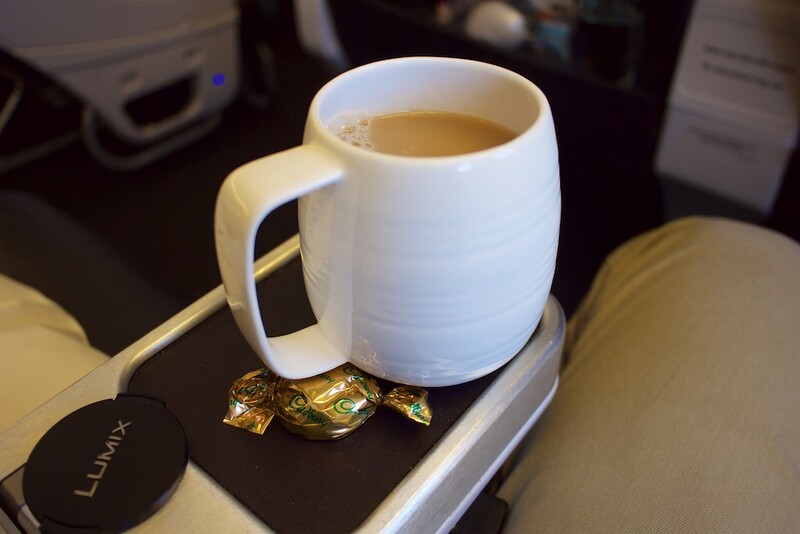 As an upgrade option though, if you are willing to spend the premium of between $150 and $300 maybe over Economy fares, it’s well worth considering. The only downside to this flight? The team of older guys handling service weren’t the friendliest flight attendants I’ve come across – a minor criticism only. I was also disappointed not to get the Spaceseat but I’ll just have to go back to Air New Zealand to check that out next time!